Most certainly a fan of the fit and flare style when it comes to dresses, this neon number certainly breaks my rules. But it's neon and pleated and perfect for summer soooooo it's worth it right? Especially when it's under $20?!?!? Definitely one of my favourite budget buys of the summer and it's perfect to throw on for a day at the beach or running errands. Short girls beware though! I'm 5'4 and in these sky-high wedges it just comes off the floor so you may want to hem it if you're going to pair it with flats :) Have a great week! I love this bold summer piece! Perfect for a hot summer day! 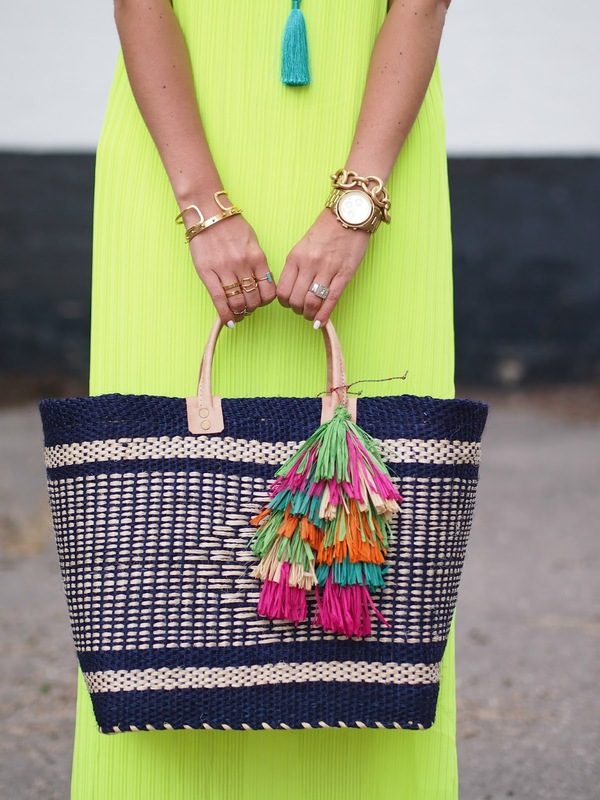 Fantastic maxi and a great beachtime bag! You look so cute. The brighter the better!! This dress is gorgeous.. I have that same dress! Definitely coming with me on my beach trip!! 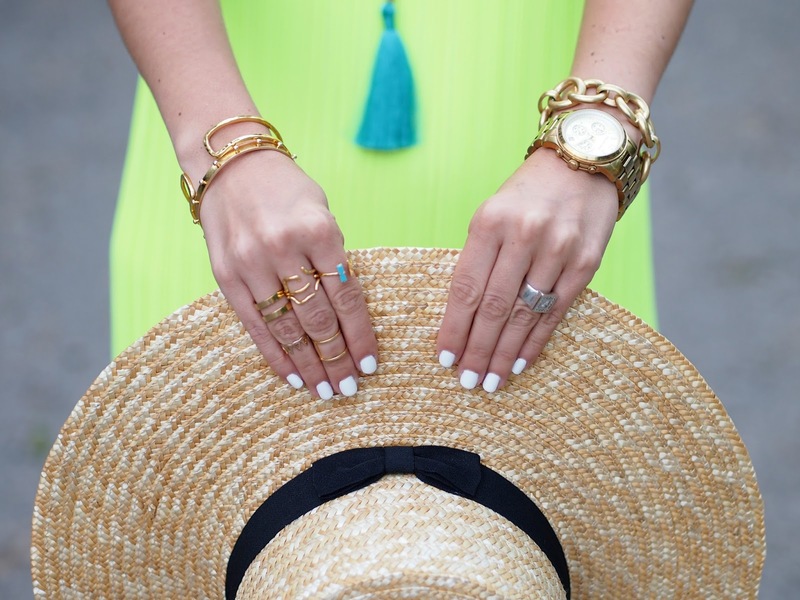 I am loving all of the tassels in this look! This is the second dress like this that I've seen in a few days, I feel like this is a sign for me to do some shopping! I love the necklace you paired with it, so cute! Very bright and festive and perfect for summer! I LOVE that dress paired with the tassel necklace! SO pretty! Very nice ensemble! Great dress!! Love the hat, i need similar one! Such an amazing color on you! I think this dress would also look awesome paired with a black moto jacket! This dress is so fun and the color is great for summer :) It is always nice to find a maxi that is a basic in an unexpected color. I love that you are still enjoying your Stella & Dot bracelet. ♥ Love following along and love the The Horse watch you've been wearing.